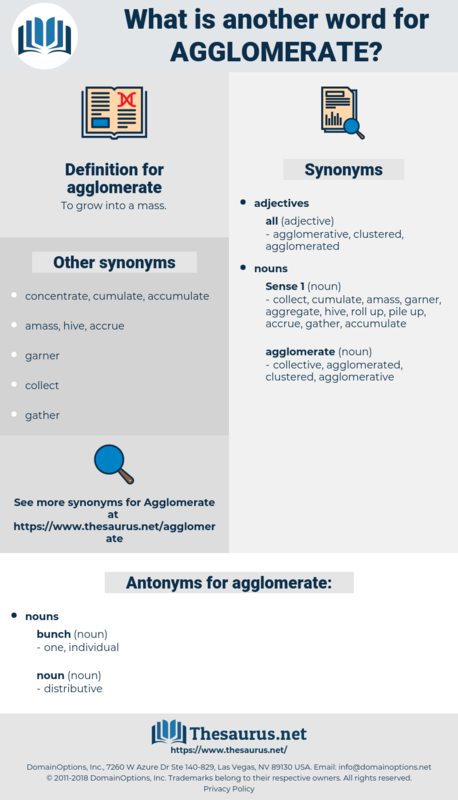 What is another word for agglomerate? To grow into a mass.
" 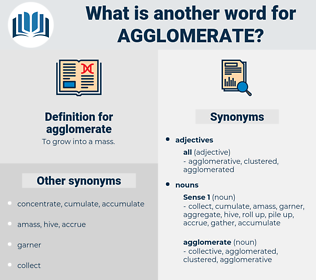 A - g, ag," said the voice; " g - l - o - m, glom, - agglom; e - r er, - agglomer; a - t - e, ate, - agglomerate." It was an agglomerate, a horde, not an army, and nobody but he could have wielded it.